Dimensions: 3 1/8" x 1 1/4"
What better favors to give the guests at your vintage-themed wedding than these antique-looking key bottle openers. They look as if they could just have been plucked straight from the gate to a secret garden! Each key-shaped opener is made from high-quality metal alloy and comes packaged in a vintage-style gift packaging with clear display top. 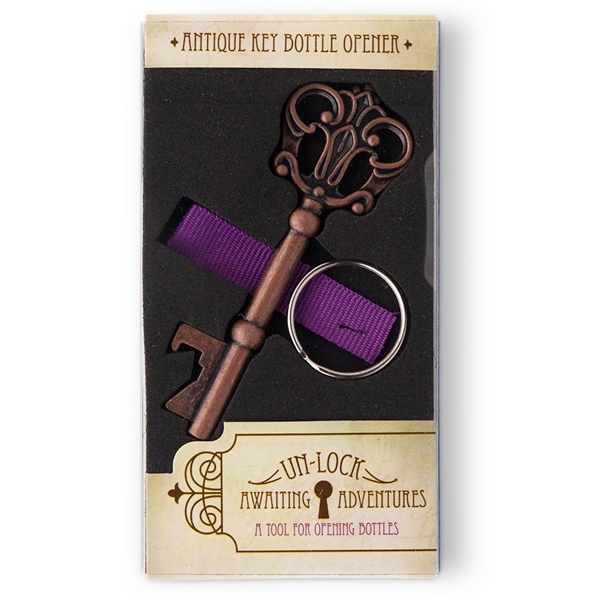 PLEASE NOTE: The pictured silvered-metal key-ring and purple strap to attach to the key-ring are not included.